I Can now imagine what it is like to not have running water. We are well under way in Zambia. Fredrick has finally got the computer and printer set up. I sent him the money to buy a computer so I could send him articles and instructions of how to grow many things. It probably would have been less expensive and a newer computer if I had bought it here but it was going to cost me more to send it than purchasing the computer. He has printed off the step by step instructions on how to make a compost pit in a hot climate like Zambia. They certainly don’t waste anything over there as all of the food scraps, if there are any, would go to the dogs, chickens, oxen or cattle. This is a chicken proof stand to grow seedlings. Note the roof over head to give some relief from the hot sun and the chickens cannot steal the young plants. This picture is compliments of Ripple Africa and so is the composting process which Fredrick is using in Zambia. – a pit of 2 metres( 6 1/2 ft.) long by 1 metre (3 ¼ ft) wide and I metre ( 3 ¼ ft) deep will produce enough compost for up to 8,000 small polythene tubes. • Compost making process: The first layer in the bottom of the pit is 10cm (4 inches) of forest or dambo soil. The second layer is 10cm (4 inches) of leaves or grass which should be compacted by walking on top of it. The third layer is 10 cm (4 inches) of manure. Except for the first layer, each layer should be watered with three watering cans of water before adding the next layer. These layers are then repeated in the same order until the pit is full. Normally. There will be three layers of each material in a 1 metre deep pit. The compost pit should be completed with a final 10cm (4inches) layer of soil which is compacted by walking on it, and the finished compost heap should be the same level as the surrounding ground. Compost provides the nutrients for the tree seedlings and vegetable seeds. This picture is also from Ripple Africa.org. When the Road is done, they will come! Here is a little video I have done from footage in Zambia when we were there in August 2012. I was trying to relate this video to The Silozi Seed Bank and Trees for Elephants but was not thinking I would be making a short film when I was there so I am limited with my choice of footage. Obviously the Elephants are my love and I think will keep tourism in Africa. If we can grow trees to sell to private and National parks, maybe we can save the Elephants, reforest the land, reduce erosion and create an income for the people. There are no Elephants in Kalabo or Liuwa Plains National Park so it is a perfect place to grow the trees that Elephants love to eat. 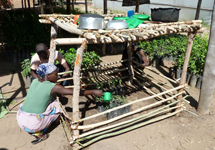 We will also grow chilies to sell as chilies are a deterrent to elephants raiding gardens. 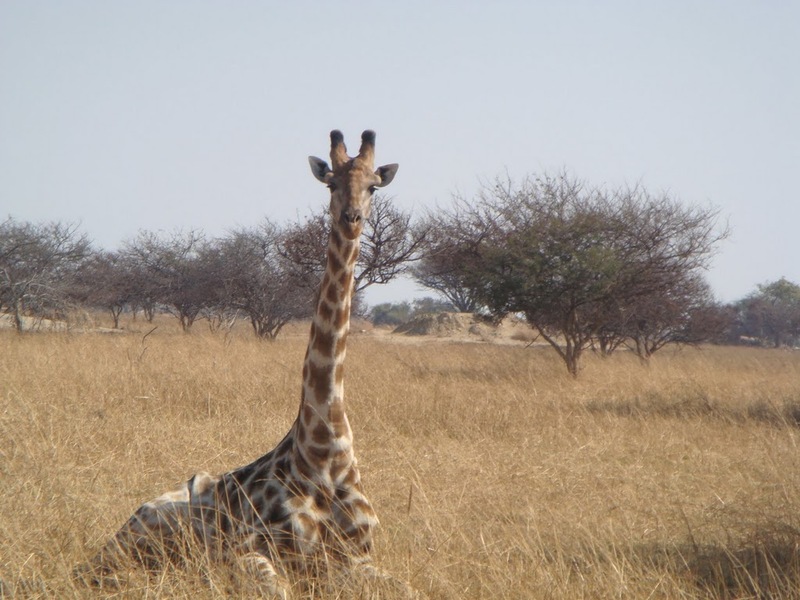 Millions of acres of grasslands are burnt in Africa to kill ticks and encourage new growth for their cattle but it has devastating effects by putting carbon into the atmosphere and drying up the earth so natural watering holes are reduced. A more holistic approach is needed by mulching the grass and using it with cow manure to replenish the soil instead of burning off all of the goodness. It is hard work turning soil by hand to make a garden. It is also necessary to plant gardens in areas close to water. People will walk miles to plant gardens and set up grass huts to live in while the gardens grow. Sweet potatoes grow well in Zambia. This is a 1.17 minute piece of the road that took us 7 hours to cross from Mongu to Kalabo. We had a 4×4 CRV but it was low and we got stuck twice. Construction on this road started in 2011 and once completed will allow easier access from Mongu to Kalabo and even on to Angola. This new traffic will increase trade and commerce for the area. And finally the children. I hope that The Silozi Seed Bank will bring fresh vegetables to many villages so they will have better variety and nutrition for all. Only after the last tree has been cut down; Only after the last river has been poisoned; Only after the last fish has been caught; Only then will you realize that money cannot be eaten. I borrowed these two sayings from another blog I am following called “Oahuhiking” . I don’t think the author will mind as she too wants to clean up the globe. Thanks Oahuhiking. So for those of you who don’t think I am crazy, you probably will now. I was up until 2:30am Monday Mar.25/13 counting pepper seeds. ( Red Tuque Books) that my book will be in this September, to count my seeds. 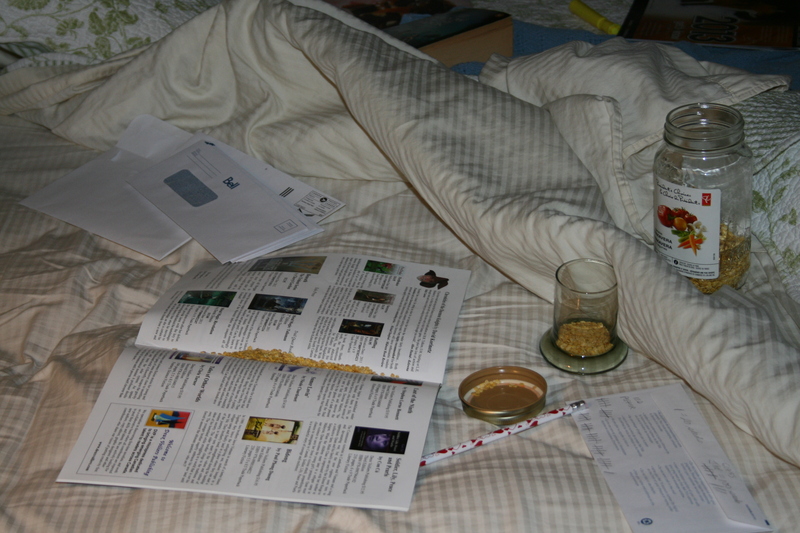 I sat in bed and very patiently slid two seeds at a time down the centre of the magazine. I used stick men to mark off each set of 20 and then again when I counted 100 seeds. It took me 1/2 hour to count 1000 seeds. So now I know that 1 1/4 oz of seed equals 2500 seeds and only weighs 1/2 oz. 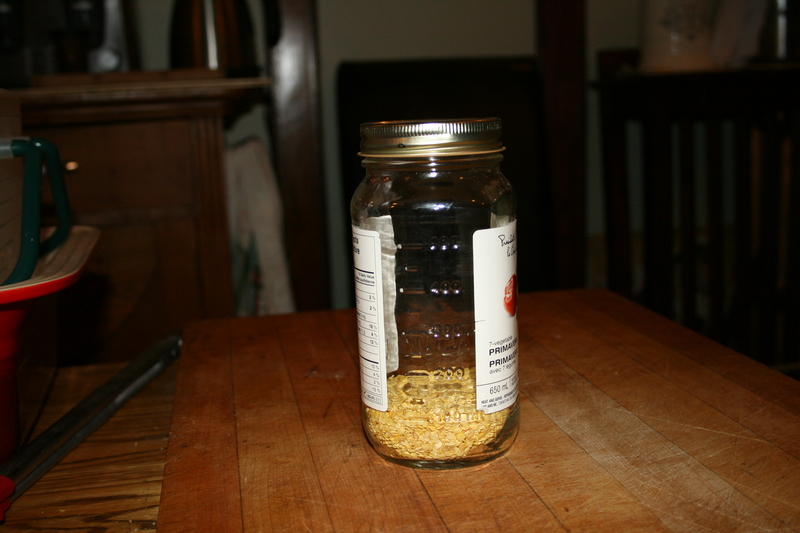 I have 4 oz’s of seed in the jar which equals just over 10,000 seeds. The majority of this jar of seeds was saved by a friend of mine Sabrina and her boss Darryl who owns Frakin Catering, in Scarborough. Sebrina works part time in Darryl’s catering business and Darryl has so graciously offered to help save seeds. Thank you so much Darryl & Sabrina. The good thing about counting out these seeds is that I was able to weigh them. 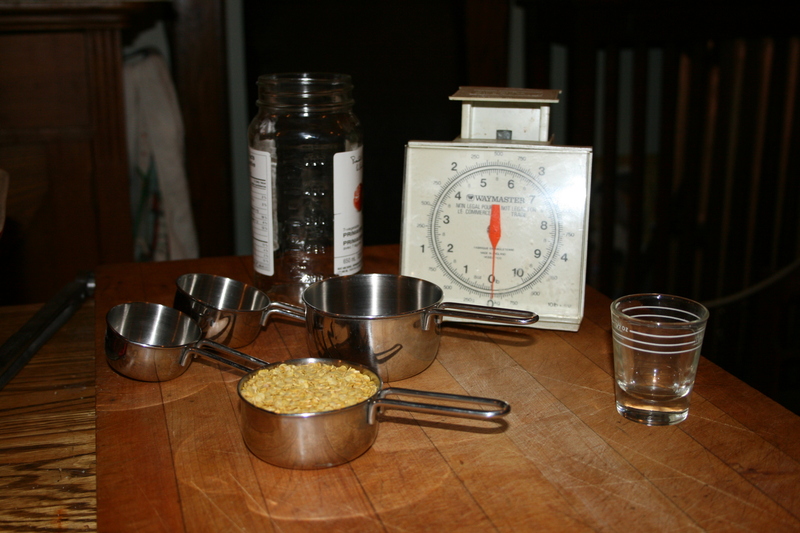 Can you immagine how many seeds I will be able to fit into a 50lb-32kg suitcase. 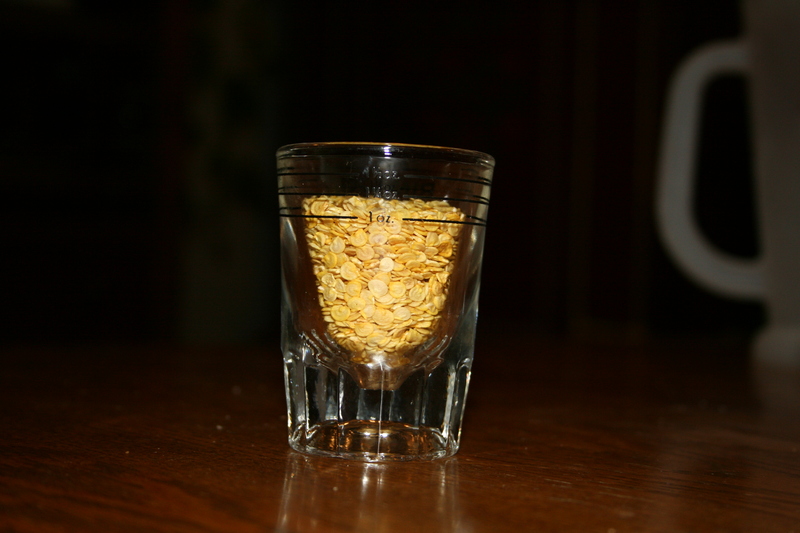 Technically, 1/2 oz. of seed =2500 seeds. Therefore 50lbs. of seed = 4,000,000 seeds. That will produce a lot of gardens in Zambia. I will let everyone know how many seeds I am actually able to fit into a suitcase when the time comes. So as you can see I used the latest in modern equipment to determine how many seeds I have so far and this is not even including the seeds from other people that are saving them for me. Thanks again to everyone who is saving seeds at the moment. It will be interesting to see how many we can save. 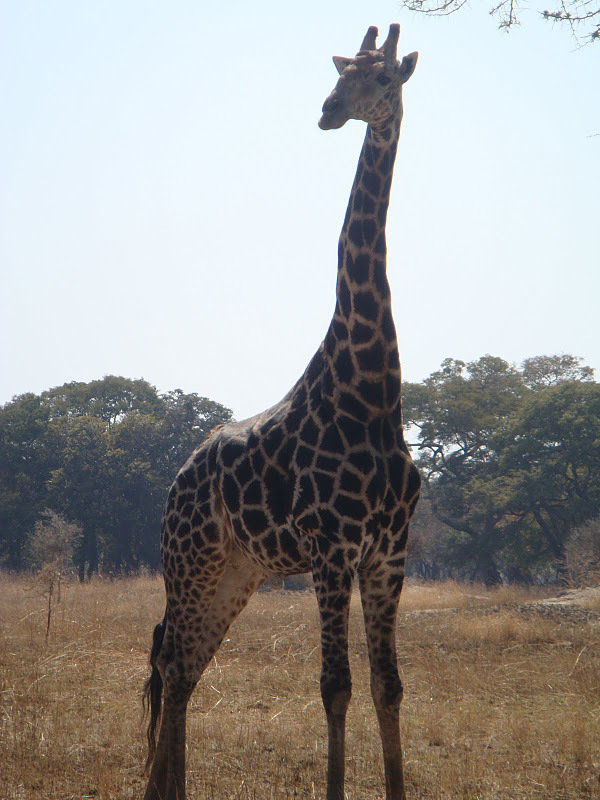 An older giraffe with darker spots. Notice the light spots on a younger giraffe. I hope you are not suffering from cabin fever too much this year. Here is something to warm you up. Think Africa! This blog is to tell you all about two new co-operative projects I have started. The Silozi Seed Bank and Trees for Elephants. I thought of the Trees For Elephants idea in August 2011 when I went to Zambia the first time and The Silozi Seed Bank this winter. Since May 2011, I have been saving and drying seeds out of the vegetables I purchase for personal use. I have saved all pepper seeds, both hot & sweet, pumpkin, squash, tomatoe, all herbs, avacado and my latest trial seeds are pomegranate, plum, olive and date pits. Basically anything that will grow in hot climates. How many of you remember saving, or still do save, the tops of pop cans to buy someone a wheelchair. Well if you would, I would really appreciate it if you could dry and save seeds for me to take to Kalabo, Zambia. Also if you have any unused, return utility envelopes and washed out clear milk bags I need those as well. Here is how it will work! The Silozi Seed bank partners ( meaning you) will collect seeds, unused utility bill envelopes and washed used milk bags. Approximately 100 seeds will be handed out to each participant( Villager). Interest paid on those seeds will be 50 seeds.When interest is paid participants will receive 100 more seeds for planting. Participants must also attend a training session on cultivating, drying and propagating seeds for year round growth. Interest seeds may be from vegetables grown by participants or from fallen tree seeds around their compounds. (note: each green pepper has approximately 250 seeds). I am hoping to start a Silozi Seed Bank mobile unit as well to reach those participants in rural areas and schedule revisits according to projected harvest. Colalife, in Zambia has a wonderful idea to deliver Zinc Aid Pods to remote areas by utilizing the Coca Cola delivery people. There is a huge incidence of child mortality due to diarrhea in Zambia and Zinc and a salt/sugar combination will easily combat the diarrhea.These Aid Pods fit perfectly in between the coca cola bottles in the red crates. Check out their web site http://www.colalife.org. I am hoping that I may squeeze a few seed packages of peppers into their Aid pods as they are high in vitamin A & C to help prevent blindness but that is a whole other story. This is where Trees for Elephants comes in. The tree seeds collected will then be used for the Trees for Elephants Program & Nursery. 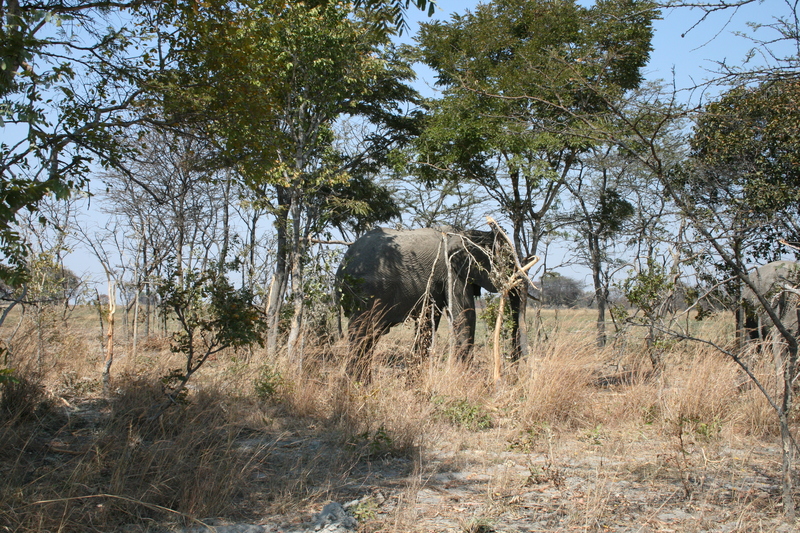 Private Game parks have to take their Elephants to designated areas to eat the trees so they can monitor the losses. I would like to have local people collect seeds of any trees but in particular the trees that Elephants eat. I would like the villagers to collect ONLY the fallen seeds from around their compounds. 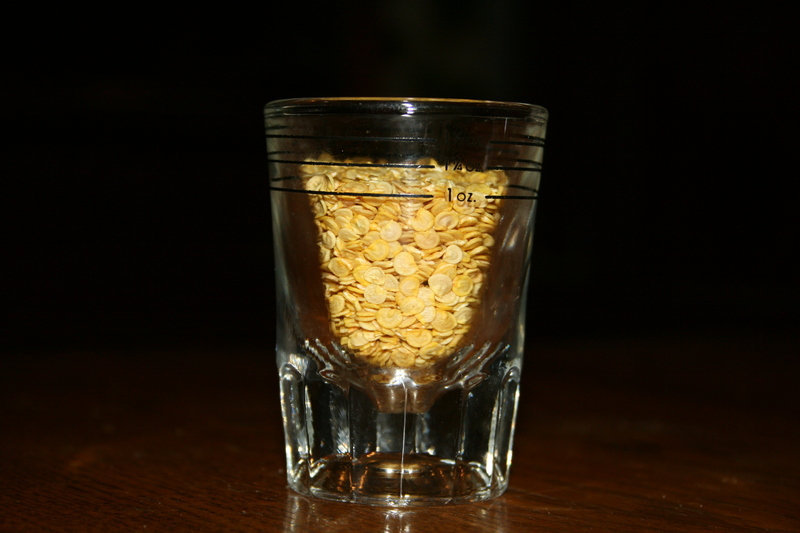 I will provide growing containers (where possible milk cartons), training and fertilizing techniques for the villagers to grow these seeds. Say 20 trees per family unit. I would also encourage them to plant trees in their own villages for shade to help stop global warming. I will trade these seedlings with the villagers for vegetable seeds (The Silozi Seed Bank) and reissue containers to start the process over again. 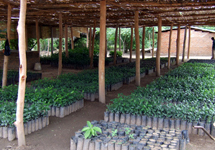 I will then sell these potted trees to National Parks, Private Game Reserves and any tree planting organizations like Greenpop.org in order to sustain the program and cover costs of containers and distribution. I will set up local people to run the program and just supervise the project via email and yearly visits to replenish the vegetable seeds. I know the seeds will grow there as I found out from Njamba’s family when Carl & I went in Aug. 2012. I have many great contacts now in Kalabo to get this project up and running. Western province has the highest poverty levels in Zambia. About 80% of the population in the province is regarded as being poor and at least 70% of those in the poor category are women. Kalabo, 75km west of the capital city Mongu, is basically cut off from Mongu except by water from November to May due to heavy rains which flood the Zambezi River onto the Barotse Flood Plains. November to January are lean months. Stored produce from the previous growing season is almost used up and in any case would need to be transported during the rainy season, while the new season’s crops and grasses are not yet productive, and at the same time fishing stops for the spawning season. Hunting and trapping animals, which might have filled the gap, is no longer available to most people, and trapping water birds is one of the few alternatives to buying flour. 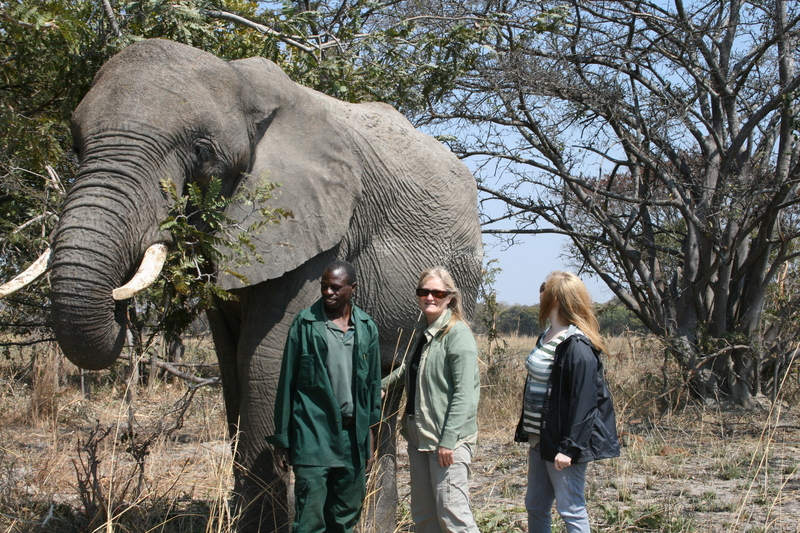 In Zambia private Game Reserves and National Parks have declining numbers of trees to support Elephants. In Zambia I was told by a local that if there is not enough bush to support an Elephant, then they shoot the elephant. If we can start to grow trees now maybe we can save the Elephant, create local economic trade and ensure tourist income for Africa. Note: There are no elephants in Kalabo so there is no risk of the seedlings being eaten prior to transport. I would also like to grow chilies to sell due to the fact that if planted around vegetable gardens they are a deterrent to elephants who raid gardens. I am very fortunate to have found a new partner, Ellena Andoniou. Ellena is currently a PhD candidate focusing on Global Health and Development and has an abundance of field experience planning, implementing and coordinating community-based probiotic food projects in Tanzania and Kenya. She has an extensive background in HIV/AIDS, nutrition, community health, capacity building, community mobilization and project management. Her research has allowed her to work closely with the National Institute for Medical Research in Tanzania, The Kenya Medical Research Institute, and other development and health-care organizations in the region. Here are some more innovative ideas that I will let you know about in future blogs. -use fish feces as fertilizer, aquaponics. The extra income and variety of seeds will improve health, overall well being to the people of Kalabo and these models could potentially be used in many parts of Africa. So if you have any seeds, envelopes and or milk bags, please let me know by leaving a comment and I will make arrangements to pick them up. I have saved at least 5000 seeds this winter so far. If you would like to follow this blog and have emails sent to you when I write a new one, click the follow button in the top left corner of the blog and leave your email address. I can’t get Zambia out of my heart! I sit here at my computer and old man winter is at our back door. It is -19 degrees Celsius outside and probably -25 with the wind chill. But when I come into my office I see the pictures of Africa on my 17″ screen saver and feel warm. It has been quite a while since I have written a blog but it is time. I thought I had accomplished what I had set out to do by paying for Njamba and his brother Kufuku ( Brian as he calls himself in the final video). I felt relieved and told Carl that I didn’t feel the need to go back to Kalabo. Then on the 25 hour flight home I couldn’t help thinking about building a school there. I spent those hours drawing up the plans. I know, you probably think I am crazy. Carl did at first but he knows me. My thinking is that once they build the road from Mongu to Kalabo there will be more traffic to Kalabo and even on to the now stable Angola. Angola has a plethora of natural resources just waiting to be cultivated. Why not open a hospitality/trade school in Kalabo to teach people how to accommodate all of that traffic. That is what I know best. I was in the restaurant business for 20 years. The people there need to learn a skill to be self sufficient and they are keen to learn. I am presently waiting to hear from the Ministry of Education in Zambia to see if I can open K.H.A.T.S ( Kalabo Hospitality And Trade School ) in the under used existing Kalabo High School. I have attached the ROUGH draft of my plans and they keep growing. I am making great connections with people who may help this new dream come true. Have a read if you like and let me know what you think. If you know anyone who would like to help with this project I am all ears. I am still not sure of the exact names for the non profit or the school/s so these may change. This is what I sent to Fredrick as he will be the Head Master of the school. Herbs-thyme, basil, sage, oregano, tarragon, Italian parsley, chives, garlic, rosemary. Vegetables-sweet potatoes, white potatoes, yellow onions, green onions, beets, cabbage, lettuce, maize, sweet peppers, hot peppers, beef steak tomatoes. cherry tomatoes, squash, zucchini, eggplant, beans, legumes, quinoa, melons. Every student will have to learn to sew! Each student will make one of the following for them selves and one to sell in the retail store on site. The retail store will ideally be located between the guest house and restaurant. -each student will make a name label for the items they are keeping and also a label with the schools name on it to put in the product we are selling. Each student will wash their own clothing, linens. They will wash their own uniform daily and hang to dry in their room over night. Each student will learn how to wash floors, toilets, walls, proper sanitary procedures. Learn how to make soap and environmentally safe cleaning supplies, ie ash, baking soda, vinegar, use old tooth brushes as cleaning tools. -we will train some dogs as well and have a cat for mice. -there will be an English class but only English will be spoken in the classroom, including the guest house & restaurant. -curried rice, rice pilaf, corn bread, bread, vegetable stir fry, omelets, tortillas,etc. -napkin folding, silverware roll ups. -there will be a cashier handling all of the real money who will start with a float and count the cash brought in at the end of their shift. I am not sure of all the details but the idea is that the facility would be self sufficient. I might have someone to invest in this project but I have to know the costs first before I speak to them further. There would be an entrance fee equivalent to one 50lb bag of rice, ie tomatoes, maize, vegetables, cotton, chickens, goat, fish, sweet potatoes etc. We would need the entrance fee for start up to feed all of the students. We may also plan to have a lumber mill and send the students to work at the mill. This is not my area or expertise so I will leave that to you Frederick to look into what we would need and what the start up costs would be. The only thing I request if we cut trees to mill that we plant two for every one we cut down. This is the basic plan that I am sure will grow as we think of things we could do. As I said before it will not happen quickly. We have to get you a computer so you and I can communicate more easily. I can get one in Canada for about $450.00 CND or 2.5 million KW but it will cost me $621.00CND or 3.2 million KW approximately to send it by DHL. Therefore I don’t know if it is better to just wire you the money and you can buy a decent one that works well. I have to raise the money to do that. I only work part time and I have lost some work recently. I just applied for three positions yesterday so maybe something will come up. I also have to look into how to start a Non Profit Organization. I will let you know how that goes. Apparently I need a board of directors and they will make all of the decisions. I hope you and your family are well! PS. If you can think of a better name for the Non profit organization I would be happy to hear it. Maybe some thing with Barotseland, Western Province or Silozi? -we could make a brick coal or wood oven to bake bread etc. -people can trade goods for product ie food, fish, etc. The trees that elephants eat. I know you must think I am crazy but we need to start all the villages west of Mongu planting the trees that elephants eat. If we put them in pots and when they are about 1 foot high we can take them and sell them to all of the private safari lodges and National Parks who have elephants and plant them in an area that has been stripped of trees. With out elephants you don’t have tourism. 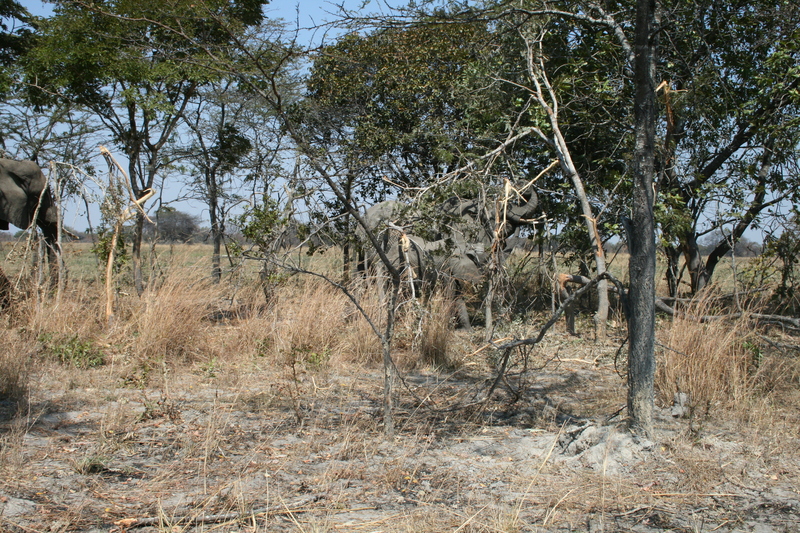 Western Province does not have elephants west of Mongu so the trees would be safe from Elephants stealing them. If you plant hot peppers near the trees you are trying to grow the elephants will stay away as they don’t like hot peppers. We can sell them too. So Frederick we need to start collecting the seeds NOW to plant these trees. Carl thinks it would be best to have a portable mill but this will only do shorter pieces of wood less than 20 feet long. That way we can keep the mill safe by the school and take orders for wood. We have to look into this because the wood has to age/cure after it is cut so it will not warp. It will probably be faster in Zambia because it is dry there in winter. We will also need a storage facility to keep it dry in the rainy season. Lots to plan, research and think about! In Canada a portable saw mill costs approximately $23000.00. It is best to fell the trees from December to Feb when it is cold so the sap is down in the roots and then the trees dry more quickly. Then you mill them in March & April and they cure and are ready to use in July –November. I have been in touch with Fredrick by text but it is hard to plan a school that way. We left Kalabo around 1pm as we decided that it would be better to stay in Mongu for a night rather than try to make the long trek back to Lusaka all in one day. The date is August 21,2012. Here is a portion of the road from Kalabo to the sand road to Mongu. Then we set out across the sand road and were able to see where we were going to avoid getting stuck. With some help from local fisherman we made it through. Here is part of our 3 hour journey. This is just a fraction of the road and what we taped but I think you get the idea. It certainly was an adventure! 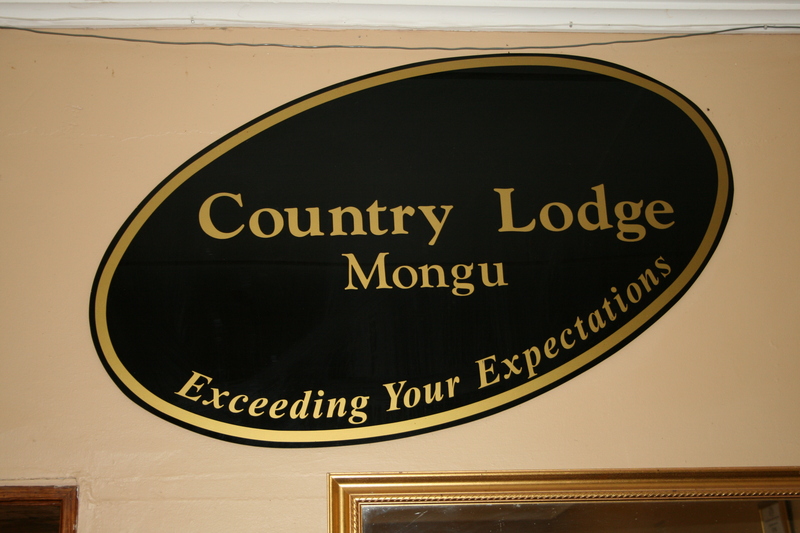 We stayed in Mongu Country Lodge which was very nice and then headed out the next day back to Lusaka.